Produce customized hard covers without messy glues, or heavy, expensive equipment. This is MyBinding video. 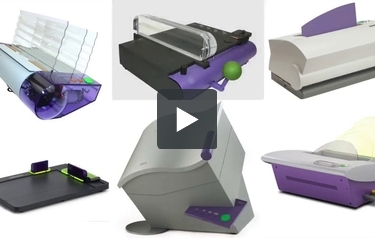 MyBinding is a premier source of Powis Parker FastBack binding equipment and all of their supplies. When you start using FastBack, you’ll love it. And because we believe in FastBack and our customers, we carry everything. We even have a technician that helps us understand every nook and cranny of the machines and we have a whole slew of training videos on what you can do with each product and how. Have a look around, read our descriptions, specifics and watch our videos, decide what machine you want best or give us a call and we can help you out. When image matters, MyBinding.